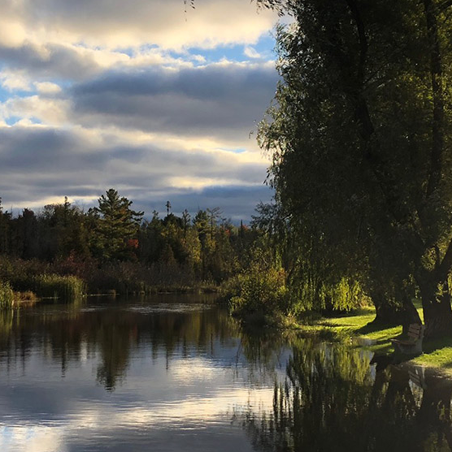 Home | Leelanau Coffee Roasting Co.
Take a morning stroll in Cedar, Michigan, in the heart of Leelanau County. 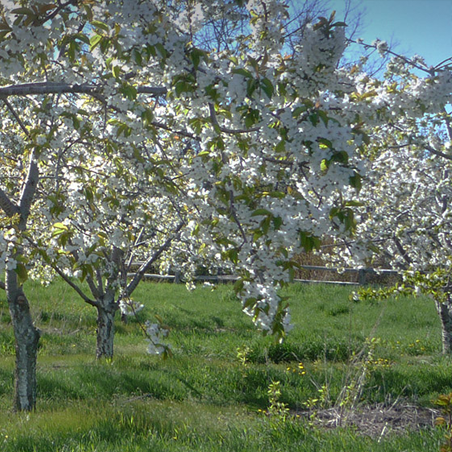 Miles and miles of cherries, apples and grapes are grown throughout the region. The calming view of Big Glen Lake from Inspiration Point, a popular destination. 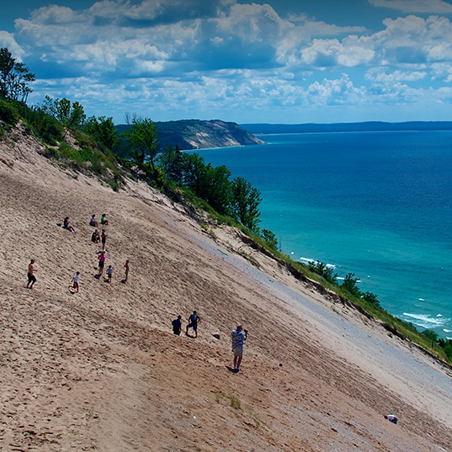 The Sleeping Bear Dunes get over 1.1 million visitors every summer, from around the world. 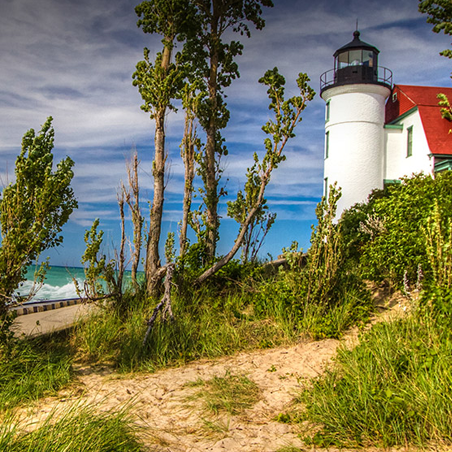 Point Betsie Lighthouse is another popular and famous location. 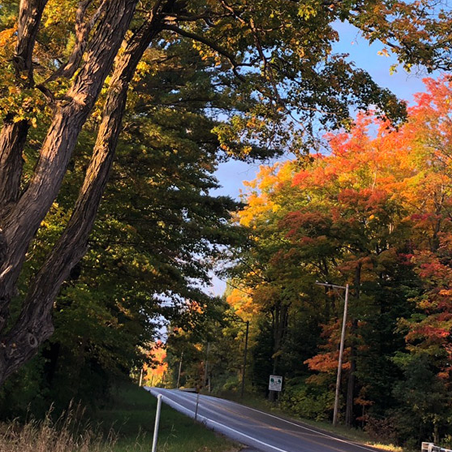 October is a fantastic time for fall colors in Leelanau County. The spectacular wintery landscape view from along the boardwalk, near M22. 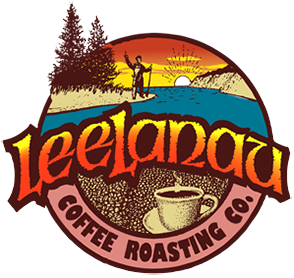 Welcome to Leelanau Coffee Roasting Company! You may have noticed we have updated our website and shopping cart system. Please check out our new exciting holiday gifts and flavors! To ensure your information is 100% secure and private, we are asking that all customers who are ordering from our new website for the first time create a new account, including those who've ordered from our old website. Sorry to our existing loyal customers that already had an account in our old system. Don’t worry, it’s simple. We just need your email address and a new password and you’ll be on your way! Our roasting process is “fluid air-bed roasting”. This particular type of roasting maintains the coffee’s delicate flavor characteristics far better that conventional “drum” or “screw” roasters. They come to you as whole beans, or ground to your liking. 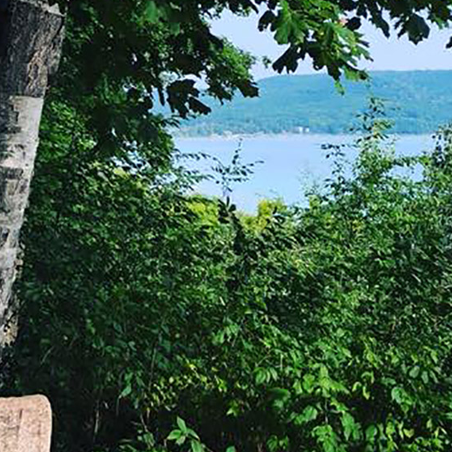 Enjoy our brewed coffee at home at your favorite restaurant, business, and so many more locations; or let us make it for you at our very own coffee shop in beautiful Glen Arbor, Michigan. Whether you are the proprietor of a restaurant, run a gift basket company, are planning a cafe, or are the category manager for nation-wide grocery chain, the Leelanau Coffee Roasting Company can help you with your coffee purchasing and marketing decisions. We will be happy to provide a Wholesale Price List with our current offerings upon your request.